The Solomon Grundy poem is a nursery rhyme that tells the life story of a man using the days of the week. James Orchard Halliwell, an English scholar, was the first to collect an publish the poem in 1842. The poem rhymes the day of the week at the end of each line. Grundy is a near rhyme with the days of the week. The Wikipedia entry has a slightly longer version. The entry on All Nursery Rhymes connects Solomon Grundy to some recipes. Solomon Grundy was never a pleasant nursery rhyme, but it took on a creepier tone in the past century. Grundy has more recently been used as the name of a supervillain in the DC Comics universe. 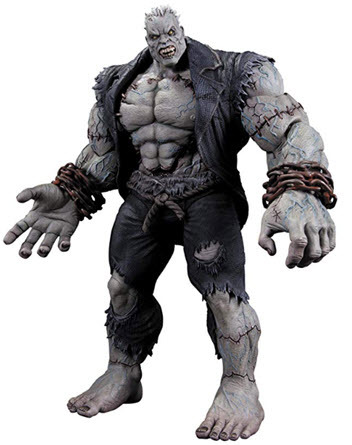 The DC Database entry says Cyrus Gold (Solomon Grundy) is a Zombie supervillain who has battled Batman, Superman, the Green Lantern and the Justice League. Grundy's changed considerably since the 19th century nursery rhyme. We can't imagine anyone marrying this Grundy.